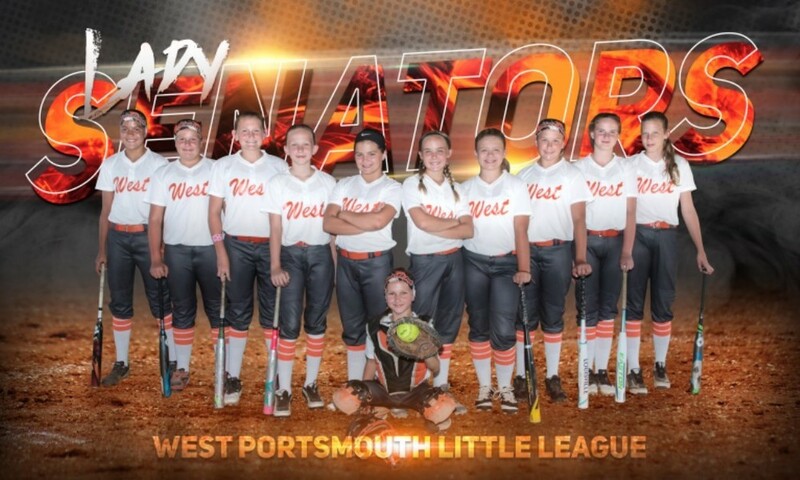 The Portsmouth West Girls Little League team took the State Championship Title this past July. First defeating Fairland with a 5-1 victory, the mighty Senator girls clinched the championship title by delivering a 10-3 victory over Tallmadge. Congratulations PW 9-11 Girls Little League! Pictured l-r: Emily Moore, Kaylor Picklesimer, Kamryn Spriggs, Brooklyn Pitts, Myla Mead, Shelby Rhea, Morgan Stiles, Kate Rollins, Addison Arnold, Kyndall Ford. In front: Emma Sayre.